I am thrilled to announce that the PetED Training Team has grown! As a frequent veterinary conference speaker, I have the unique opportunity to meet and network with other vet tech speakers. One of the established trainers, Tasha McNerney, BS, CVT has assumed the role as PetED’s social event planner. She loves to organize dinners for speakers we know and some we would like to know better. I often find myself at a long table in a lovely restaurant with some of the best and brightest in our field. It always humbles me when I see the talent that has gathered with us. Well, out one group dinner and one private dinner, I had the opportunity to invite two vet tech heavy hitters to the join the ranks of the PetED Training Team. Liza Wysong Rudolf, BAS, CVT, VTS (CP-Canine/Feline and SAIM) and Monique Feyrecilde, BA, LVT, VTS (Behavior) are two lovely, energetic technicians that share a common passion for education. I do value the continuing education opportunities available at conferences. I like to think that vet tech educators are changing the way things are done in practices by challenging technicians and veterinarians with new skills or novel ways to think about things. Commonly, techs and vets approach to talk with the speaker after a lecture. Unfortunately, the common thread in what they share is that they do learn new ideas at a conference but the chance of change actually occurring upon their return is slim. This leads to great frustration. Practices report that when training is provided in the practice, with their equipment, in their environment…change does actually occur. Everyone hears the same message. There is an opportunity to question the trainer at length for complete understanding. I like to think of one of my PetED roles is that of talent scout. I have had my eye on these two stellar technicians for years. I could not be happier that Liza and Monique have agreed to come on board with us. 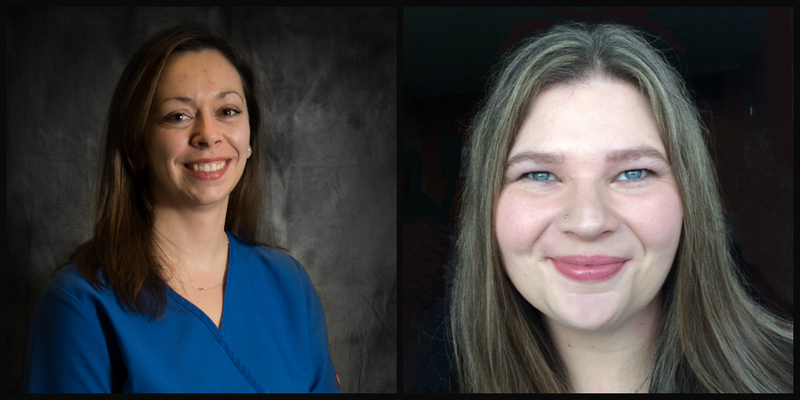 If you would like to schedule an educational experience tailored to YOUR practice with either of these ladies, or any of the other PetED Trainers, please contact us through the PetED Veterinary Education and Training Resources website. They will rock your world!